This sounds like an all-around positive news. Why am I then critical of Amazon, a company that I highly value? While Amazon has every right to choose how to compensate its workers, this minimum wage increase and Bezos’ encouraging the federal government to do the same are wrong. They violate several moral principles which undermines the company’s self-interest. They may have a profound impact on the lives of tens of millions, but the impact will be negative. The seeming motivation for across-the board wage increase violates the principle of independence. Instead of acting on independent judgment, based on the assessment of its own best interests, Amazon’s decision seems to be motivated by wanting to appease others. The company’s critics, such as Bernie Sanders, have chastised Amazon for exploiting its warehouse workers by paying them too little. Raising the minimum wage as an appeasement of critics and to look good in the eyes of others is not in the company’s or in its trading partners’ (employees’ and customers’) interest. Besides abandoning independent judgment, Amazon’s decision also violated the principle of rationality. It would have guided the company to focus on facts—which Amazon chose to evade. The first fundamental fact is that if the company wants to survive and thrive, it must focus on long-term profit maximization. The second important fact is that achieving profit maximization requires a compensation system that attracts, motivates, and retains best possible workers who work productively. Such a compensation system would benefit both Amazon (shareholders) and its trading partners: the customers and the employees, including entry-level and part-time workers. Amazon’s minimum wage hike decision violated also the principle of justice which advises treating people as they deserve. After the workers’ cheers of joy died down after the announcement, it became clear that the increased minimum wage would contradict justice by not rewarding performance. Prior to deciding to increase its minimum wage, Amazon had a performance-based Variable Compensation Plan (VCP). The VCP rewarded attendance and productivity with monthly bonuses and also included Amazon stock. Upon hiking its minimum wage, Amazon canceled the VCP, opting to raise compensation for all lowest-paid employees, regardless of performance. This is unjust to the many high-performing, consistently productive Amazon workers. They are unhappy, as the minimum wage hike is less valuable to them. Having good workers unmotivated, or losing them, is hardly in Amazon’s self-interest. Amazon’s minimum-wage decision violates also the principle of honesty. Amazon couched the decision as an expression of compassion for the lowest-paid workers and of willingness to sacrifice profits for their sake. However, such statements are fake, as Amazon could not achieve long-term profitability on the principles of compassion and self-sacrifice. Besides, the benefit to the lowest-paid workers is likely to be relatively short-lived, as hiking minimum wages will incentivize automation of low-skilled jobs. (Amazon is already working on this, as it should). This means fewer of such jobs in the long term. As for customers, increased wages likely will lead to higher prices, making Amazon less competitive. This will ultimately harm also the company (shareholders) through the downward pressure on the stock price. Amazon has the right to act against its self-interest and bear the consequences, even when its action is damaging to others—as long as it does not initiate physical force against them. But by encouraging the government to mandate higher minimum wages, Jeff Bezos is violating the principle of not initiating physical force, albeit indirectly. He is asking the government to initiate physical force, through legislation, not only against his own company but against all others as well. As Marni Soupcoff writes in a National Post editorial (and I have written in a previous post), government interfering in free markets through mandating minimum wages—initiating physical force—has a dismal history. Instead of win-win situations that free markets create, government minimum wages do not reduce poverty or create more jobs or wealth. They have the opposite effect. 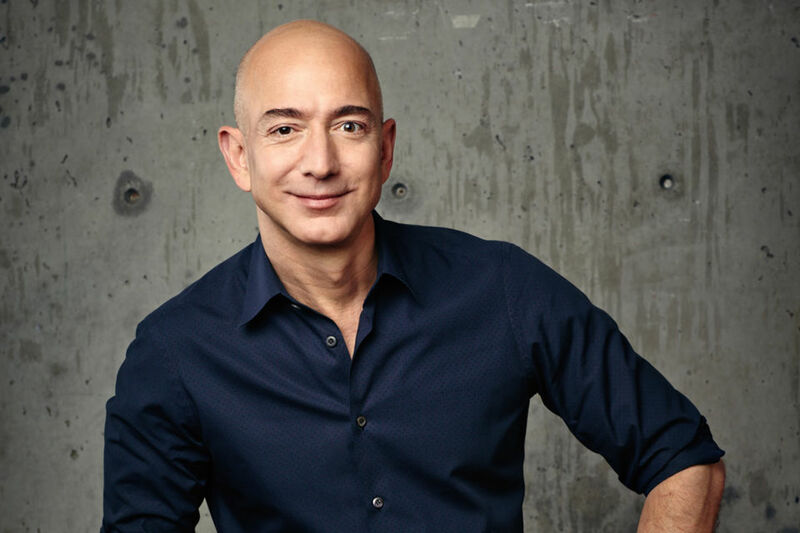 If Jeff Bezos and Amazon want win-win outcomes, they should focus on maximizing long-term profitability, based on the principles outlined here. All of us would continue to benefit from the value Amazon provides. Are Hedge Funds Worth More Than Kindergartens?